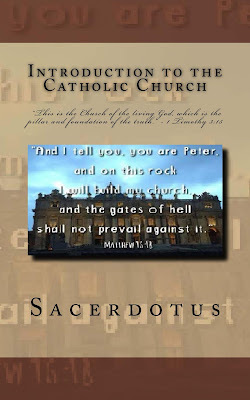 Sacerdotus: New Book: Introduction to the Catholic Church on Sale! My new and latest book, Introduction to the Catholic Church is now on sale. The book is an apologetics book like you have never read before. It is well researched and addresses the challenges the Catholic Church faces today in the 21st century. The book offers apologetics (Biblical, Theological, Philosophical & Scientific) against the arguments of Protestants, the LGBT, Atheists, and Pro-Abortion or Pro Choice advocates. 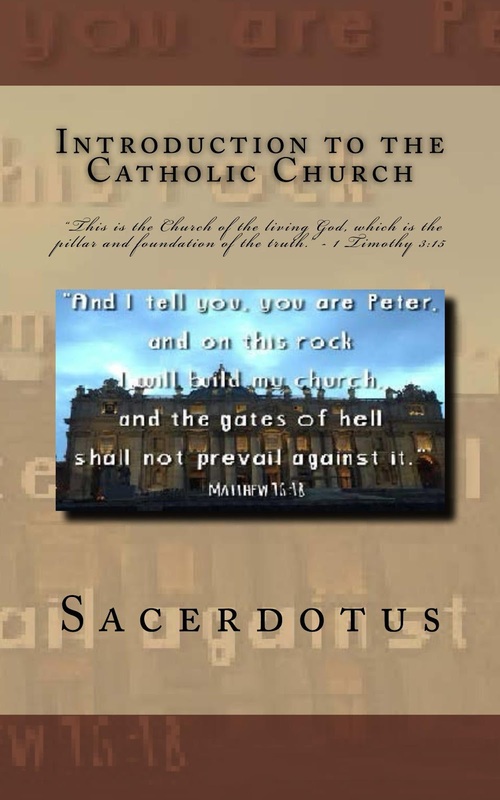 This is a book every Catholic and those curious on the Catholic Faith should have! The book is priced at 12 dollars in honor of the 12 Apostles. Discounts can be made available on Createspace for those who want to buy in bulk or may be struggling financially (students etc). The book was just released, so hopefully anticatholics will not post fake bad reviews without owning the book like they have with my previous books on Amazon. If they do, please ignore them. Remember, if you have Prime you can get the book on Feb 6 per Amazon's site. So if any reviews appear before or near this date which are not reviews I personally asked for from reputable people, you can disqualify them as fake because there is no way the reviewer could have gotten the book and read it. The Kindle version will be on presale soon for $9.99 and will be released on the feast day of Our Lady of Lourdes, February 11. Here are photos of the proof copy I had received. The book is 5x8 and filled with lots of information. The purchase of my books will help me maintain this ministry and expand it. You will be helping to spread the Gospel and the teachings of the Catholic Church to fellow Catholics, Atheists, Gays, Pro Choice advocates and others.